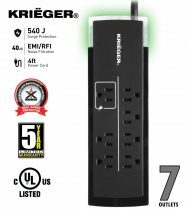 KRIEGER Professional series Surge Protector. The AC surge suppression for full protection of 110-120V workstations desktop PCs television systems and other sensitive electronics. 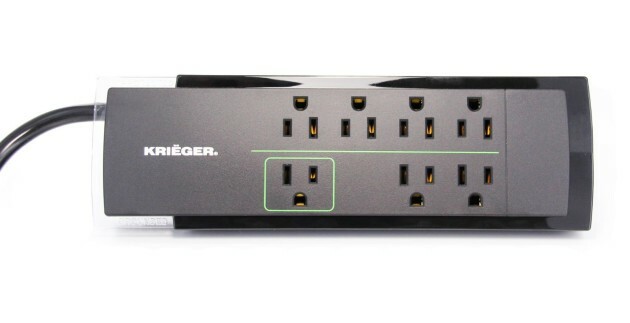 Built-in AC surge suppression shields connected equipment from damage and performance problems due to transient surges. 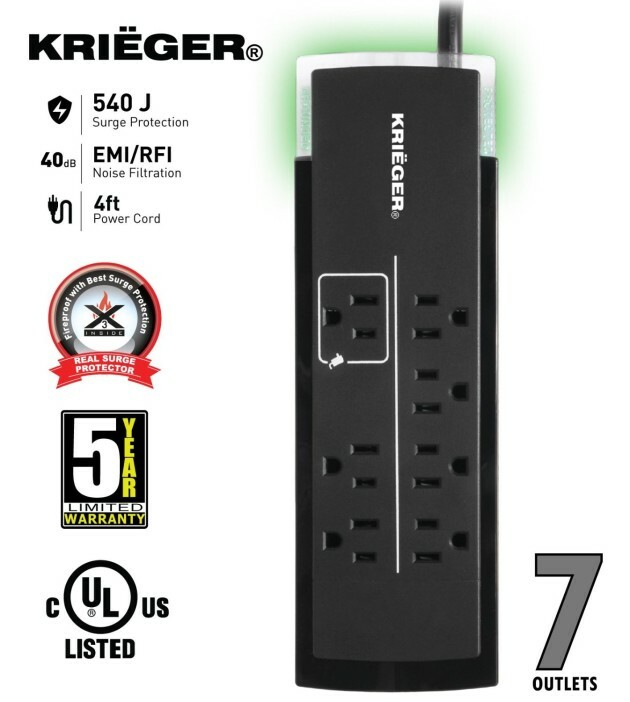 The KR7540 offers 7 outlets, one of the 7 is a Transformer outlet and a cord length of 4 ft. AC suppression rated at 540 joules shields equipment from surges and line noise. Lighted on/off switch with integrated circuit breaker provides power control over connected equipment.